July 9 was a good day. You know that feeling you have when you attend conference and you come back to work charged up and ready to change the world? 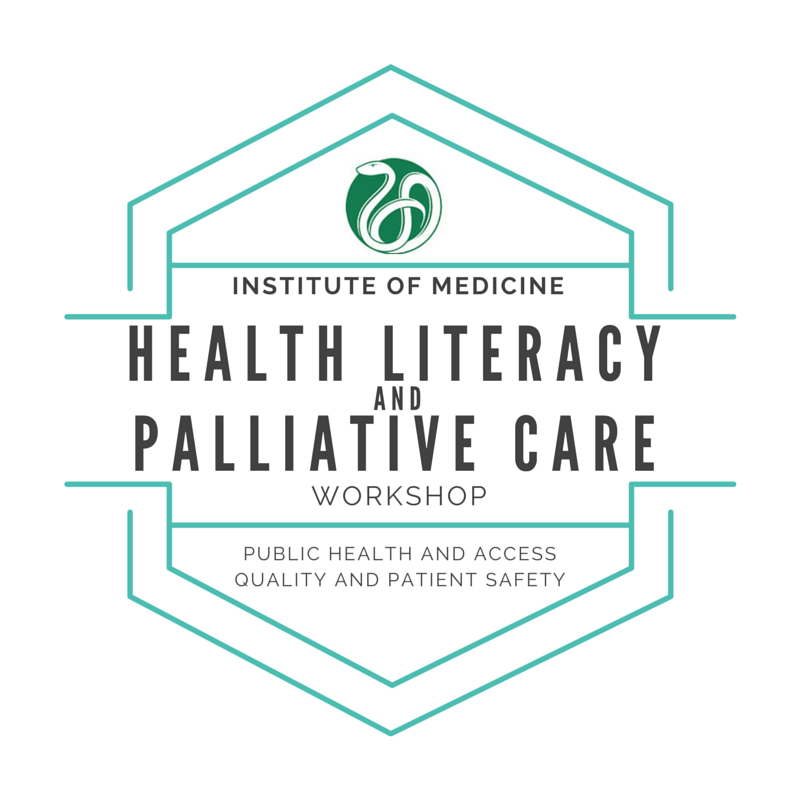 That’s the feeling I had after listening to a live webcast of the Institute of Medicine’s Health Literacy and Palliative Care Workshop. The sessions and discussions were inspiring and conveyed the pressing need to revolutionize patient care. I tuned in during Diane Meier’s Overview talk. Dr. Meier is one of the rock stars of palliative care and, full disclosure, I am a groupie. She asked the audience to consider where the health literacy problem lies. Is it with patients and caregivers forced to navigate an increasingly complex healthcare system or is it with healthcare professionals that offer treatments that do not add quality or longevity? More medical care is not always better care. Fee-for-service reimbursement models drive the chaos, resulting in less time spent with patients and no time for them to assimilate the information and ask questions that would allow them to make decisions consistent with their values and wishes. Too often, we offer treatments but neglect discussing the impact on quality of life. Next I listened to Beverly Alves heartbreaking story of the difficulties of finding compassionate and coordinated care when her husband was diagnosed with cancer. It’s a strange paradox that we have made such scientific and technological advances but seem to have regressed in actually caring for patients and families. Beverly’s remarkably moving story provides a directive for what needs to be fixed in healthcare; now, not in our lifetime, but now. Later Bob Arnold spoke about communication training for physicians. He suggested that physician-patient communication is a procedure, just like starting an intravenous catheter or putting in a chest tube. These procedures require training and practice. After all, new physicians don’t perform complicated medical procedures alone, but they are sent to talk to patients and families about prognosis, treatment options, and end-of-life care without sufficient training. Is it any wonder that physicians vastly overestimate prognosis and patients and families overwhelmingly believe that surgery (or chemotherapy) will cure stage IV cancer? The next speaker, Elaine Wittenberg talked about communication training for nurses. The core of nursing principles aligns with palliative care. Nurses tend to assume that good nursing care is synonymous with palliative care. But it’s not. Dr. Wittenberg pointed out that nursing programs need to include more instruction in palliative care principles. 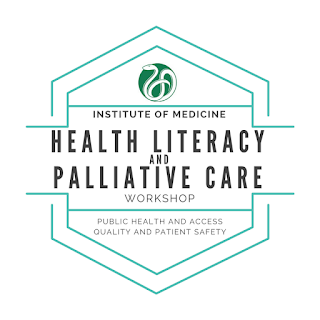 In the discussion, one participant noted there was a lot of content about palliative care training for those already in the workforce but we need to more thoughtfully include palliative care content in nursing education. This struck home for me as I endeavor to infuse more palliative care content across all levels of nursing education. We were taken to church by Reverend Richard Freeman who reminded us of the value of humanistic care. He emphasized what really matters to patients at end of life is being surrounded by loved ones. Carol Levine, and several other speakers, spoke about the forgotten caregivers. The population is aging and older caregivers are overwhelmed by navigating the healthcare maze, providing care, working, and running the household. Dr. Meier pointed out the United States spends less on social support compared to other countries. In other words, it’s easier to get chemotherapy or surgery than it is to get Meals on Wheels. An audience member shared an innovative idea: we need to train caregivers how to communicate about palliative care with the rest of the family. This ensures that everyone is on board with the patient’s wishes. Palliative care proponents believe we need to draw a clear line between palliative care and hospice care. Palliative care is different from hospice care in that it can be offered in tandem with curative treatment while hospice care is for patients foregoing additional treatments with a prognosis of 6 months or less. Yet, I noted that the personal and patient stories shared were about patients facing end-of-life decisions. Moreover, the majority of palliative care consults at our academic health center relate to end-of-life care. I suspect this is true for most palliative care programs. I’m reminded of Dr. Meier’s saying that all hospice care is palliative care but not all palliative care is hospice care. Perhaps the differentiation between palliative and hospice care is more important to healthcare professionals than it is to the general public. What we need to convey to patients and families is that palliative care is simply patient-centered care. I could go on about all the wonderful speakers and content, but instead encourage everyone to view thewebcast (embedded below). The webcast and the presenters’ slides will be available to replay and download. Every speaker had an important message to share. Ginger Marshall spoke about the personal notes and cards she has received from patients and families. When she has a bad day, reading these treasured notes remind her of the value and importance of the work. This webcast is a virtual card that you can open anytime you need some inspiration. When I think about the big picture, I believe we are within the wave of a culture shift regarding healthcare. The opposing forces of old ways and new ways tend to create a tumultuous environment in our daily work lives. Heralding this shift, last week the Centers for Medicare and Medicaid Services proposed payment codes for the 2016 Medicare Physician Fee Schedule for advance care planning. If approved, these codes will allow providers to engage in meaningful and patient-centered advance care planning conversations upstream in clinics, avoiding the more difficult discussion at the bedside in the Intensive Care Unit. A recent ad drives home the point: it’s much easier to talk about your wishes when the decisions seem far away and are much harder to have while intubated with a breathing tube. Thirty to forty years ago, the baby boomers brought about a return to natural childbirth and breastfeeding. With 10,000 baby boomers turning 65 every day, it’s time to bring about a revolution in patient-centered care and compassionate, humanistic end-of-life care. This webcast simultaneously gives hope for the progress made and provides a roadmap for the important work that remains.